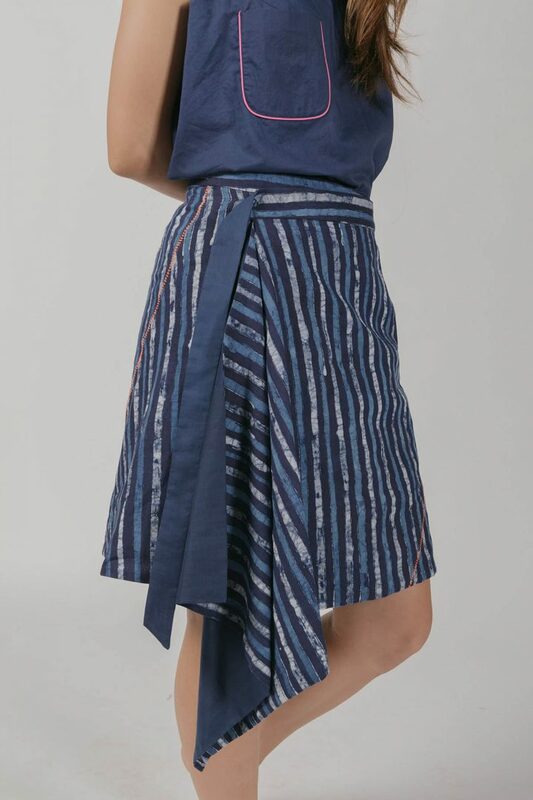 Hand-batik wavy pattern wrapped skirt with front & back pockets. Indigo dyed. Reversible. 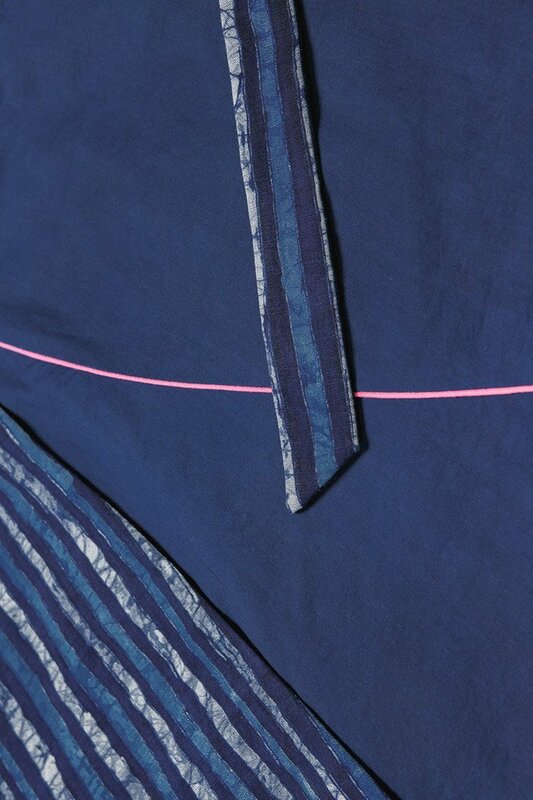 Contrasting fishbone hand stitch & piping seams. 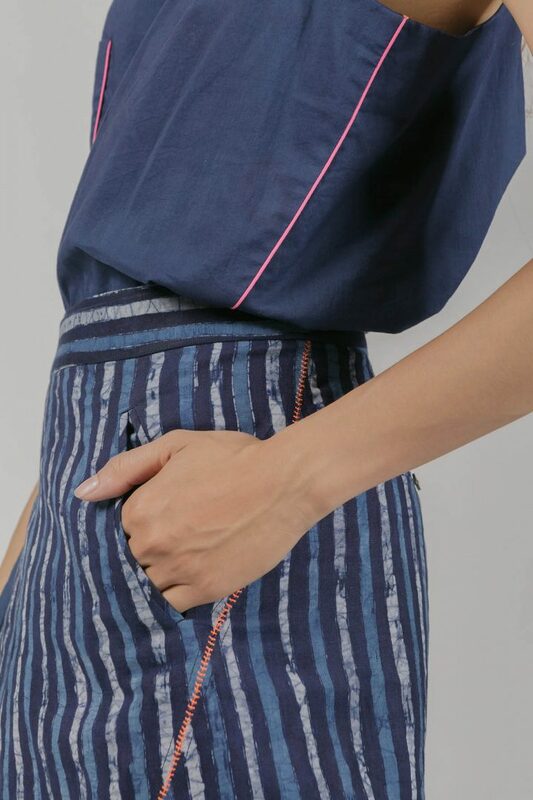 Available in batik polka dots and batik stripe versions (as shown here). Asymmetrical hem.